© The Financial Times Limited 2010. All rights reserved. “Investors Chronicle”, “FT” and “Financial Times” are trademarks of The Financial Times Limited. No part of these web pages may be reproduced or transmitted to or stored in any other website or other form of electronic retrieval system, without prior permission in writing from the editor. 150 años en las finanzas. 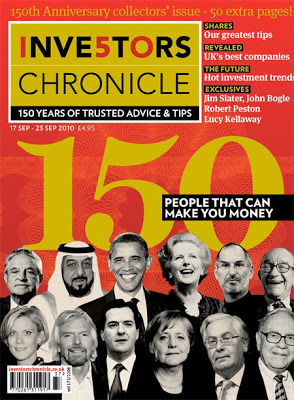 Investors Chronicle magazine has been providing private investors with weekly stock market analysis since 1860. This makes it one of the oldest magazines in the world. It started life as the weekly Money Market Review. In 1914, it merged with the Investors Chronicle and Journal of Finance, started in the 1890s. Then in 1928, publication of the amalgamated title was taken over by Brendan Bracken – the man behind the modern Financial Times. In 1967, Investors Chronicle merged again, this time with the Stock Exchange Gazette. And in 1978, it re-established its connection with the Financial Times, by becoming part of the FT Group. 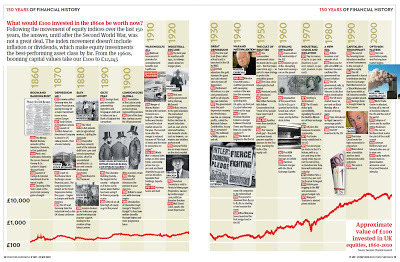 Over the years, the magazine has been home to some of the leading figures in financial journalism. Harold Wincott, considered by many the greatest Investors Chronicle editor, ran the magazine for 21 years. Andreas Whittam-Smith edited the magazine from 1970 to 1977, before going on to found The Independent newspaper. 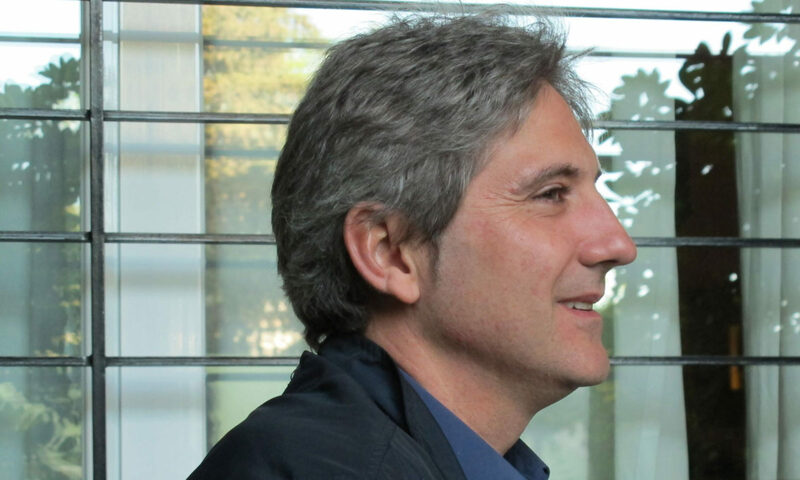 Today, Investors Chronicle is edited by Jonathan Eley. The Investors Chronicle daily website (IC) complements the weekly Investors Chronicle magazine. Together, the website and magazine aim to help private investors make timely and rewarding investment decisions. The IC has had an online presence since 1996, and the current site is our most comprehensive yet. Every day, the IC website provides comment and views on the latest company and market news, plus trading ideas, tip updates and several web-only content items. It also offers share prices, company financial data, share price charting and a range of other functionality, including stock screening, portfolio tools, and email alerting.